I immediately bought and finished the sequels to Shadow & Bone after reading it in a day. The plot twist didn’t throw me off as much as it did Kiesha, so I forged on. I’m a little confused as to what to write about the Grisha Trilogy, primarily because I’m not entirely sure how I felt about it. I was very disinterested in half, but loved the other half—so I’m kind of in the middle. The first book was by far my favorite. The second, Siege and Storm, was my least favorite. I’m not a quitter, so I went ahead and read the third book, Ruin and Rising, anyway. I don’t regret it. 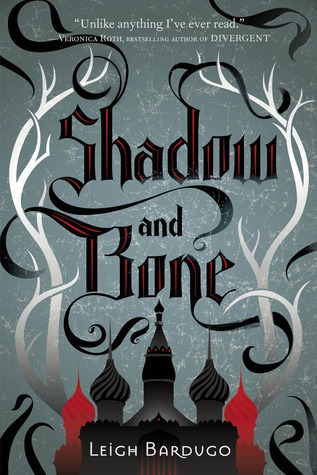 My opinions are the same as my first post about Shadow & Bone—I love the worldbuilding and “magic” of the Grisha. I felt the the Fold was very unique, as was the concept of the governmental structure, theory behind the magic (it’s science–manipulating matter–not magic), and the dystopian-fantasy genre of the book. I didn’t mind them in book one. In book two, they got increasingly more obnoxious. In book three, I was done. I devoured it in a couldn’t-put-it-down-leave-me-alone way. Bardugo’s writing style is captivating, and she did a fabulous job at pulling me in as a reader and hitting me with twists, turns, and feels. I loved the originality and depth of the magic concept. Grisha are people who have the ability to manipulate Science—some people can throw fire, others can conjure wind, some work with metals…the list goes on and each person is unique. The Grisha are pampered and spoiled by the King, and are overseen by the Darkling, a Grisha with extremely dark and powerful “magic”. Alina is a soldier in the First Army, an orphan who was falsely tested for powers as a child. She is a fantastic main character, though I did get tired of her complaining about how plain and not-pretty she was. Luckily that dies down a bit by the end of the book. I enjoyed the supporting characters, too, though Mal (the best friend she’s in love with–he doesn’t see her because she is so plain) got on my nerves frequently. The world-building is fantastic. The details and places weren’t completely dumped on the reader in the first chapter, but spread out throughout the story. The detail and description of places and buildings was also great, and I could easily picture everything. As soon as I finished it, I immediately bought book two (and finished it). Great series! I would definitely recommend it. 5/5 on Goodreads. So, if you’ve read my previous posts you’ll know that I received Shadow and Bone by Leigh Bardugo in my Uppercase Box a month or so ago, and was super excited to read it. Then, a couple of weeks ago, I got the same book in a Secret Santa exchange that I did and took that as a sign that I REALLY needed to read it. As soon as finals were over and Christmas break started, I devoured it in one night. The fact that I read the entire book in one night would normally be a sign that a book is VERY good, but unfortunately, that is not entirely the case here. It more so had to do with the fact that I needed to know what happened before I went to sleep, and I couldn’t just set it down and be done for the night. That’s the control freak in me showing it’s nasty face. To be perfectly honest, I really, really loved the first three quarters of the book. The way Bardugo weaves a story and the amount of detail she uses is amazing. I literally felt like I was there. However, after a certain plot twist occurred (if you’ve read the book, you’ll know the one I’m talking about), I was left shocked and saddened. From there on out everything moved way too quickly compared to the pace of the rest of the story. 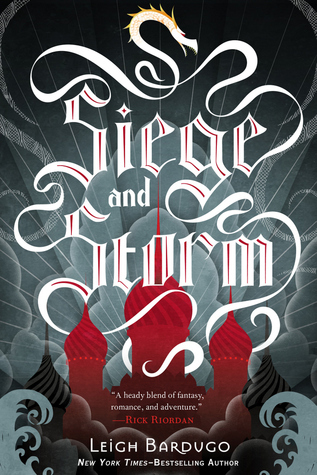 The details and descriptions that I loved from the beginning of the book were no longer there, and it felt to me like Bardugo was trying to cram everything into a certain number of pages and just be done. I found myself becoming more and more bored and uninterested in the story, and I knew that was a bad sign. The character of Alina frustrated me more than I connected with her. She was so adamant that she was normal, which I understand now, but she just seemed so… naïve to everything going on around her. Her constant complaining about herself didn’t help either. More than anything I was intrigued by the Darkling’s story and how he got to his current position. I’ve found in a couple of the books I’ve read recently, I’ve been more interested in supporting characters than main characters though, so maybe that’s just me. I gave Shadow and Bone 4/5 stars on Goodreads, but I will not be finishing the series. I have no interest in what happens to Alina, Mal or any of the rest of them, but if Bardugo ever comes out with a series about the Darkling I will be on top of it!